Leo Bogart has been director of the American Advertising Federation and the Center for Applied Linguistics. He is the author of Preserving the Press, Polls and the Awareness of Public Opinion, and The Age of Television. His treatment of the material is well informed, clear, and interesting...the author's clear writing style would allow this book to be read easily by anyone with a high-school education. It is jargon-free. 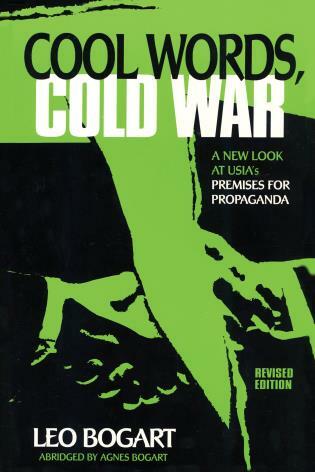 This reassessment of the Cold War premises of American Propaganda brings the original 1954 study up to date and places it into historical context. The book is a careful examination of the principles and beliefs that have guided American propaganda operations including the dilemmas that currently face American information policy. It summarizes an empirical study based on extensive interviews of the agency's executives and operatives that is updated by the new interviews reflected in this edition, and that helps USIA guide and plan its own research and improve its operations.